Credit rating agencies have been widely criticized in recent years for the poor performance of their ratings on mortgage-backed securities (MBS) and other structured-finance bonds. In response to the concerns of investors and other market participants, the 2010 Dodd-Frank Act incorporates a range of reforms likely to significantly reshape the rating industry. In this post, we discuss these reforms and their implications for investors, regulators, and the rating agencies themselves. Rating agencies evaluate the credit quality of debt securities or debt issuers, such as corporations or sovereigns, with each assessment summarized in the form of a letter rating, say, “AAA.” These ratings are ubiquitous in fixed-income markets (for example, one leading agency published 870,000 new and revised rating opinions in 2009), and are widely used by investors, fiduciaries, and other market participants. 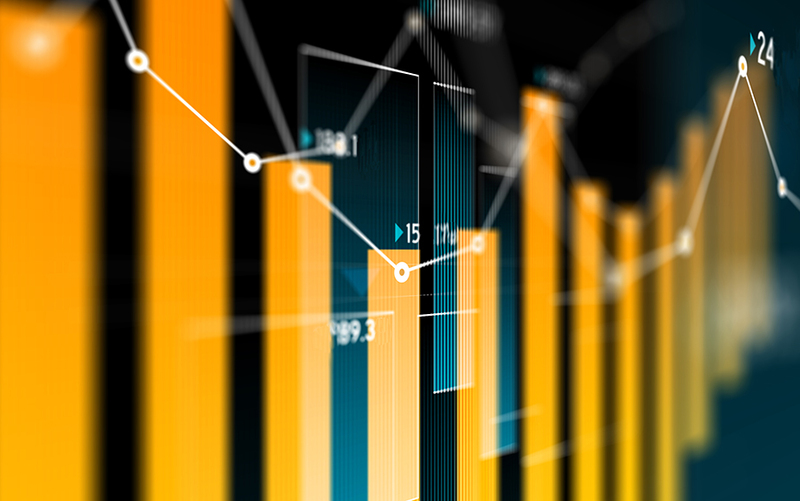 While ratings have in general performed well over long periods, credit rating agencies have faced widespread recent criticism for the performance of their ratings on MBS and related bonds like collateralized debt obligations (CDOs). For example, the chart below, drawn from my academic research with Fed colleagues, shows outcomes for highly rated subprime MBS issued between 2005 and 2007. The chart considers only bonds that initially received an investment-grade credit rating (BBB- or better), an assessment implying an extremely low likelihood of default. Strikingly, however, around half these bonds have subsequently defaulted, while many of the rest have experienced significant rating downgrades. One view is that these downgrades are due to a combination of “innocent” modeling errors and the unexpected severity of the subprime crisis. Critics, however, argue that observed rating errors represent more than just bad luck. Instead, they highlight governance features of the rating industry that may have weakened rating standards—in particular, the fact that rating agencies are generally compensated by security issuers, rather than investors. This “issuer-pays” model creates a potential conflict of interest—agencies may feel pressure to provide inflated ratings, especially during credit booms, when fee income from issuers is elevated. A related claim is that issuers “shopped” among agencies for the most positive ratings, leading to a decline in standards as agencies sought to avoid losing market share. the creation of an Office of Credit Ratings within the SEC to administer regulations and conduct annual examinations. One of the most significant provisions concerns the regulatory use of ratings. U.S. financial regulators have typically used ratings to measure and manage risk-taking by financial firms—for example, as an input to calculating minimum required capital buffers for banks and other financial institutions and to determine which securities may be held by money market mutual funds or used as collateral when banks borrow at the Federal Reserve’s discount window (see Basel Committee on Banking Supervision  for more examples). Dodd-Frank significantly changes the landscape here. First, it removes references to ratings from the Securities Exchange Act and a number of other statutes. Second, it requires federal agencies like the SEC and Federal Reserve to remove references to ratings from their own regulations when those ratings are used to assess the creditworthiness of a security or money market instrument. These changes are likely to please those who argue that excessive reliance has been placed on credit ratings in the past, at the expense of other risk indicators. They also raise a thorny question, however: What should take the place of credit ratings in these rules? Options include relying on simple, granular measures of risk, developing quantitative regulatory models, or relying more on firms’ internal models. Each of these approaches has limitations, however. The risk is that a poorly designed alternative could be less accurate or create new incentive problems. Dodd-Frank has essentially entrusted these challenging decisions to financial regulators, requiring them in each case to replace ratings with an “appropriate” standard of creditworthiness. What does this mean in practice, though? A good case study is the ongoing U.S. implementation of Basel III capital requirements for market risk. As written, these international rules make use of credit ratings to help determine how much capital must be held against banks’ debt and securitization positions. Thus, these rules must be implemented in amended form in the United States, in order to comply with Dodd-Frank. To this end, regulators have recently released an amended notice of proposed rulemaking, or “NPR,” outlining alternatives to ratings for different instruments subject to the market risk rules. For example, the specific risk weight for securitization positions (such as MBS) is based on a formula that depends on the seniority of the bond and the capital requirement that would apply to the assets underlying the securitization. For sovereign debt exposures, proposed specific risk weights are determined based on the Organisation for Economic Co-operation and Development’s country risk classifications. The National Association of Insurance Commissioners has also reduced its reliance on ratings, taking a somewhat different approach. The agency retained the services of third-party vendors to develop quantitative regulatory models for measuring the risk of residential and commercial MBS. The output of these models is now used to set required capital buffers on MBS for insurance firms. What about the “issuer-pays” model itself? Dodd-Frank does not restrict rating agencies from being compensated by issuers, although it does require the Comptroller General to conduct a study of the merits of alternative approaches. One approach is a “platform-pays” model, in which an industry utility or self-regulatory board, rather than issuers, would be responsible for determining which rating agencies are assigned to rate each security. Proponents argue that this approach would reduce or eliminate incentives for a rating agency to relax standards in order to win more business from issuers. Dodd-Frank requires the SEC to study the benefits of this approach as a way to assign future ratings to structured-finance products, such as MBS and CDOs. It also gives the SEC authority to establish such a system if determined to be in the public interest. Summing up, Dodd-Frank creates significant new challenges for the credit rating industry, including greater liability for rating errors as well as enhanced disclosure and reporting requirements, while at the same time reducing the centrality of ratings, at least in terms of their role in financial regulations. Exactly how the new rules will affect the accuracy and timeliness of credit ratings, and the reputation of the rating industry, will become clearer over time. Regardless, given their enduring popularity, it seems likely that credit ratings will continue to play an important role in financial markets in the years to come. This measure isn’t perfect, since in some cases there is disagreement among rating agencies regarding a given security’s current rating. One issue: Historically, the agencies have differed somewhat in terms of exactly what their ratings are intended to measure--credit ratings from Moody’s, for example, are closer to a measure of expected loss, rather than the probability of default. In broad terms, though, we think the chart does a good job documenting the poor performance of these (originally) highly rated MBS. 2. In constructing the chart, we simply weight each security equally (we didn’t take averages by issuer or weight by the principal amount of the security). However, we’ve also produced an alternative version of the chart that is weighted by the original face value of the security (so that we put more weight on the widest tranches). The results are quite similar. As I think you’re alluding to, default is more frequent among the securities with a lower initial rating--this makes sense, since the lower initial rating was an indicator of lower seniority and greater credit risk. Thanks again. I hope these responses are helpful. James thanks for the useful summary. It brings to the fore the looming consideration of what will happen when various parties - investors, regulators - adopt different alternatives in replacing (previously uniform) credit ratings. Any chance you can share some light on the "author's calculations" in determining default rates in the graph? Most importantly, how is default defined? As an aside, it looks like you're weighting by issuer count, which is reasonable, but if you were to weight by dollars issued, the graph would probably be inverted; this is meaningful as rating agencies are increasingly arguing that their measures are only relative measures of risk - in that context, your graph would oddly support a theory that their ratings are functioning well, even in the subprime MBS world.